Illi Broman, born Markku Helge Ilmari Broman and hailing from Imatra, Finland, is a musician/composer and multi-instrumentalist. Broman was only under ten years old, when he started his musical career in the 1960s playing drums. Touring extensively with various dance bands, Broman, who was still underage, soon became a seasoned musician. Broman's life in rock music started in 1976, when he gained the third place in the Finnish Rock Championships with a band from Imatra called Wiemäribändi. The winner of the same competition was Jimi Sumén's band from Lappeenranta, which Broman joined, staying there for three years. Broman's style during these years was still hard rock and progressive rock. Musical fashions were about to change, though, and soon Jimi Sumén and Illi Broman found themselves involved with Maukka Perusjätkä's punk/new wave band, having a brief chart success in Finland. After the stint with Maukka Perusjätkä was over, Illi Broman started to record the debut album under his own name, having gained a generous offer from Epe Helenius of Poko Rekords. 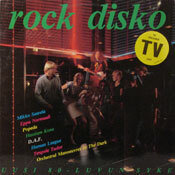 Thus in 1981 Illi Broman produced for Poko both the 7" single 'Golden Beat'/'Don't Miss The Stars' and a full-length album called I'm Right; 1983 saw one more Poko release in the same style, an 12" EP called 'Silver Dream'. On these releases representing synth-flavoured new wave pop/rock Illi Broman sang and played all the instruments, engineered and produced everything on his own. Sales-wise, Broman's Poko releases were not a success, but can these days be seen as an interesting addition to the all-too-brief Finnish futu canon of the early 1980s electronic new wave. Since those days, Illi Broman worked for some years outside of Finland, continued in sound engineering, production, mixing and road-managing, played in various bands and with such renowned Finnish artists as Dave Lindholm, Hasse Walli, the late Albert Järvinen, and briefly with Leningrad Cowboys. He even tried his hand with radio commercials and theatre. Illi Broman has recently gained some online success with classical music and film scores, through his own Illi Broman Symphonyorchestra. Written, produced and arranged by Illi Broman. Produced by Illi Broman. Recorded at Trackside Recording Studio, Imatra. Personnel: Illi Broman (vocals, synthesizer, guitar, electric drums), Juha Päiväläinen (tenor saxophone). Produced by Illi Broman. Recorded at Sound Enterprises Studio. Personnel: Illi Broman (vocals, synthesizer, electric drums). For other releases, please refer to the links above.